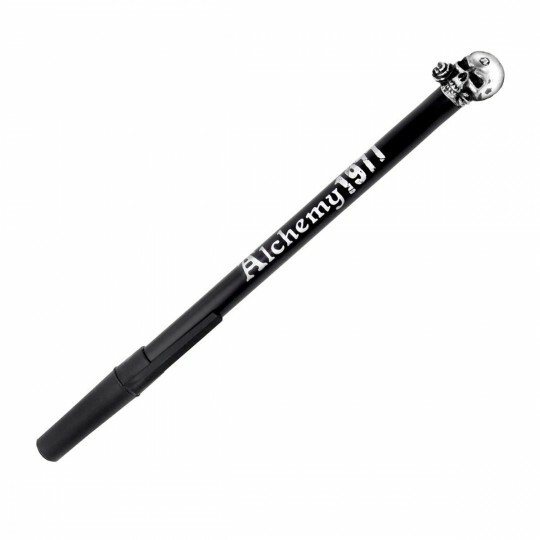 BE4 - Alchemist Skull pen top in Gifts is made for Women and Men and comes in Black, Pewter and is made of Pewter material. It is marked as Study and weighs about 1.00 lb. Classic Alchemists skull, cast in (non-toxic), English pewter, securely fitted to the top of the latest, black Papermate ball pen; pen included. Width 0.47 x Height 6.26 x Depth 0.63 Approx.